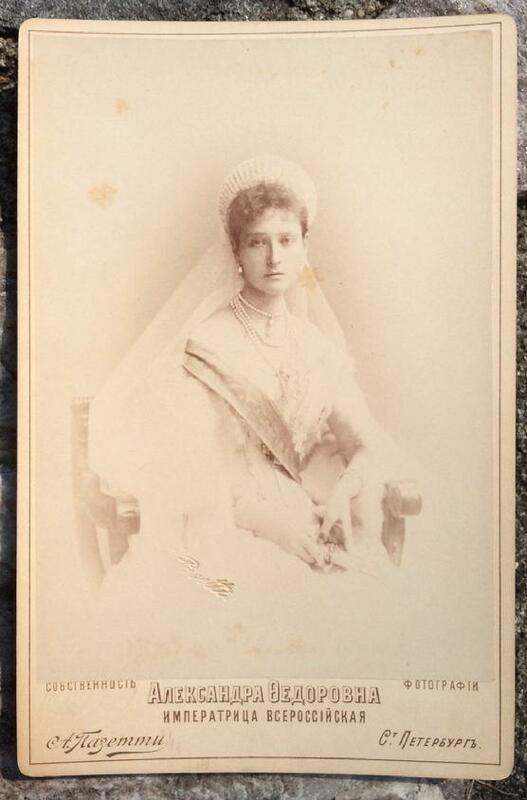 Cabinet photo of Empress Alexandra Feodorovna by famous A.Pasetti.The image has no date stamp, but looks to be a circa of 1890's or so. This cabinet photo measures approximately 4 1/4" by 6 1/2". With blind stamp "Pasetti". Condition is very good. 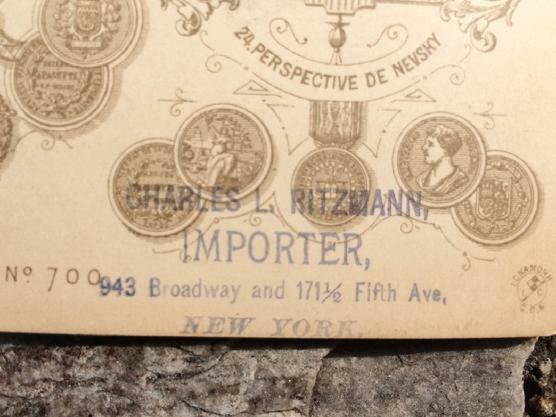 The card may have light wear, scratching, toning, fading, minor staining, spotting, soft or dinged corners and slight cupping as shown in pics.Nice image,with great display potential. See the pictures we provide. Alfred Pasetti (Пётр Анаклет Альфред Пазетти or Peter Anacleto Alfred Pasetti, 1850-1912) was born in St. Petersburg to an Italian father and German mother. He studied at the Imperial Academy of the Arts, but gave up traditional arts to become a photographer. 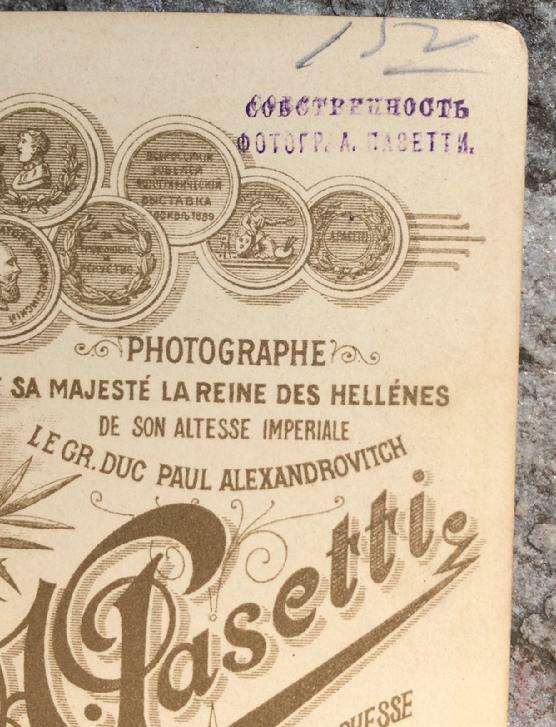 By 1882, he had established a studio on Nevsky Prospect. 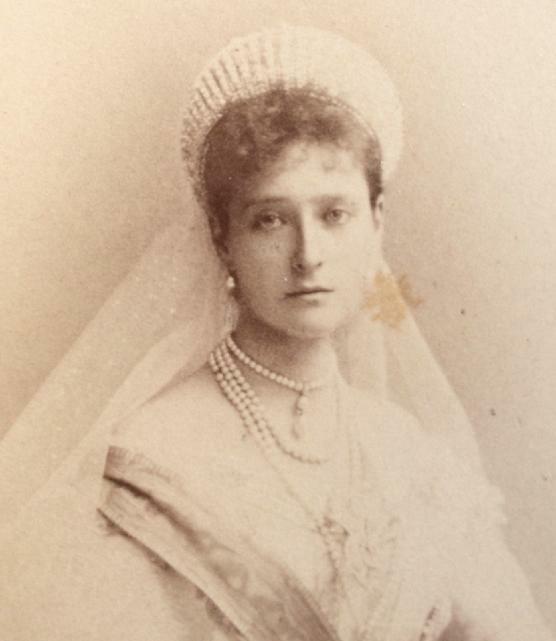 His work came to the attention of Empress Maria Feodorovna and he soon received commissions to photograph members of the Imperial family and court in his studio as well as in the Imperial residences. 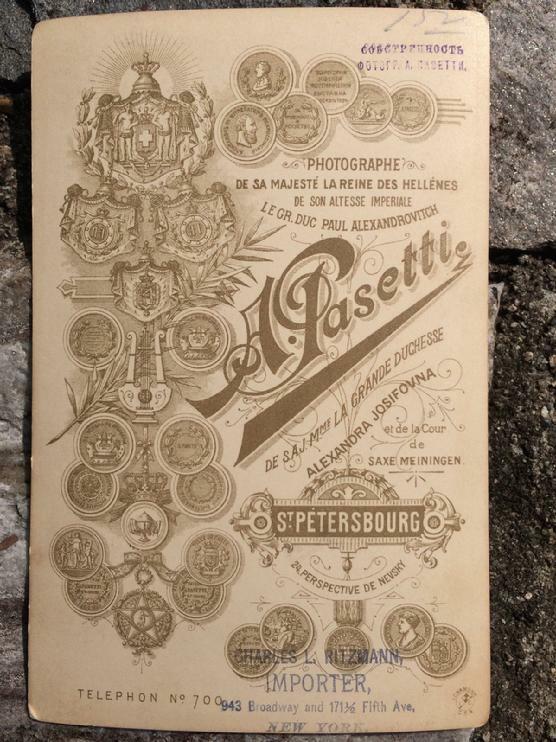 Pasetti made many of the best-known photos of members of the Imperial family in the 1880s and 1890s and was awarded a Gold Medal at the 1900 Paris International Exposition. 14 ноября 1894 года состоялось бракосочетание Николая II с немецкой принцессой Алисой Гессенской, принявшей после миропомазания (совершено 21 октября 1894 года в Ливадии) имя Александры Фёдоровны. 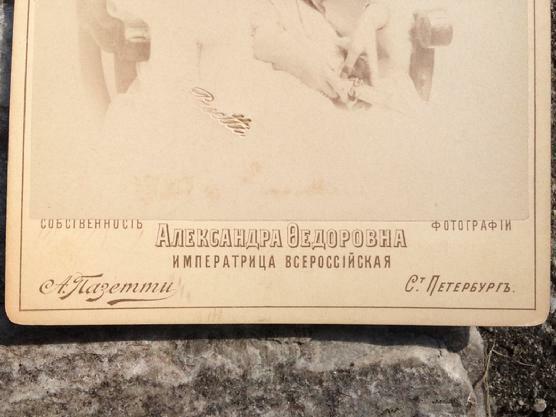 В последующие годы у них родились четыре дочери — Ольга (3 ноября 1895), Татьяна (29 мая 1897), Мария (14 июня 1899) и Анастасия(5 июня 1901). 30 июля (12 августа) 1904 года в Петергофепоявился пятый ребёнок и единственный сын — цесаревич Алексей Николаевич.